Buddha Bar at Grosvenor House in Dubai Marina is rated as one of the top spots of the city, because this venue is a mix of bar and restaurant. Therefore, it attracts both foodies and party-goers at the same time. Food lovers can indulge themselves in the wide array of cuisines, which comprises of typical bar food and Thai fare. While for the party lovers, Buddha Bar promises an evening of unrivalled experiences, as its Dj play chill-out music in inspiring and trendy settings. Fine range of cocktails is also seen on the menu of the Buddha Bar that gives this venue a sharp edge over its rivals. Spoil yourself with a range of delicious Thai and bar food dishes offered at this amazing venue inside Grosvenor House in Dubai Marina. The wide array of Killer cocktails makes the eats of Buddha Bar even more tasty. In addition to this, guests are allowed to smoke at this eatery. Live music played by Djs makes the environment of this restaurant more cool and attractive. However, Buddha Bar follows a strict age policy according to which only 21 years of or above age people are allowed to enter in the bar, whereas 18 years or below folks can enter in its dining area. 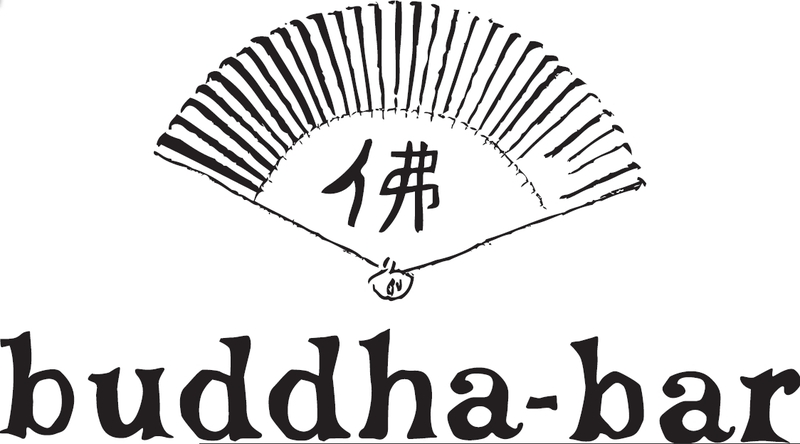 The operational hours of Buddha Bar are from 8:00 pm to 2:00 am, whereas on Thursdays & Fridays this venue remains open till 3:00 am. Ground Floor, Grosvenor House Tower One - D 94 - Dubai - United Arab Emirates. Guests cannot arrive near Buddha Bar through metro because the nearest station is beyond 2.5 kilometers away from its location. So a visitor need to hire a cab or arrive here by bus. 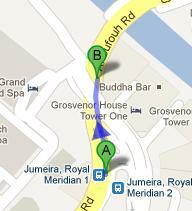 Buddha Bar is about 210 meters walking journey from the Jumeira, Royal Meridian 2 – Dubai bus stop, which can be completed in nearly 3 minutes, if a bus passenger heads north on Jumeirah Beach Road and continue onto Al Sufouh Road/​D 94, soon he or she will locate the destination on the right side. Bus numbers 8 and F37 can be used to reach this bus station. View map for directions.